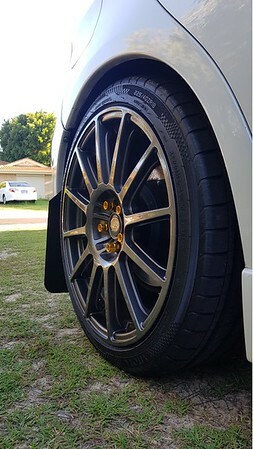 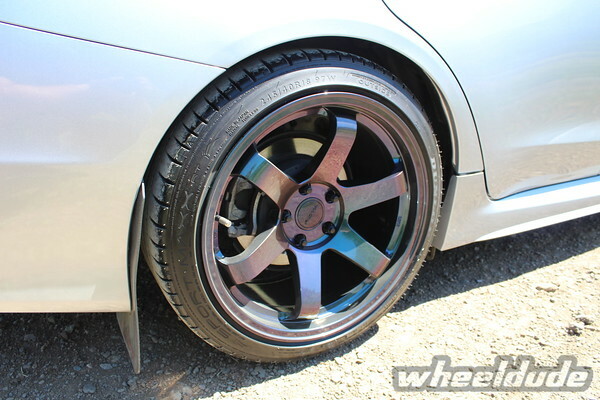 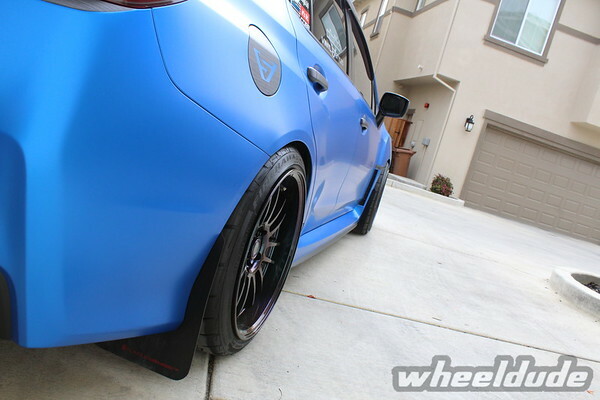 Tires: 255/35 federal rsr tires. 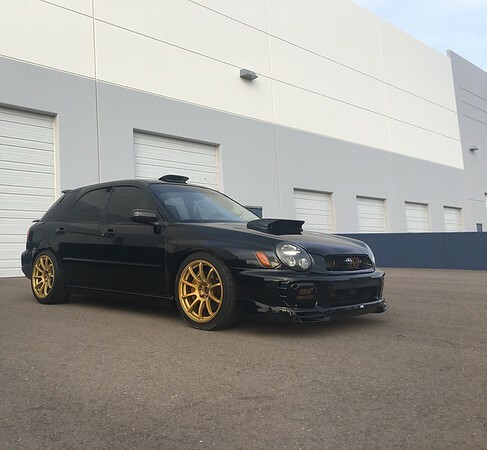 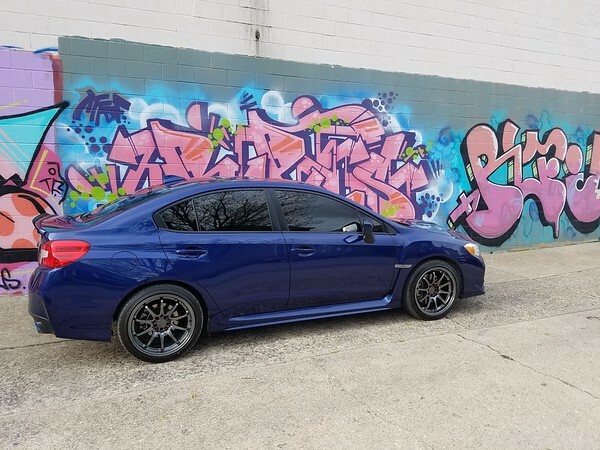 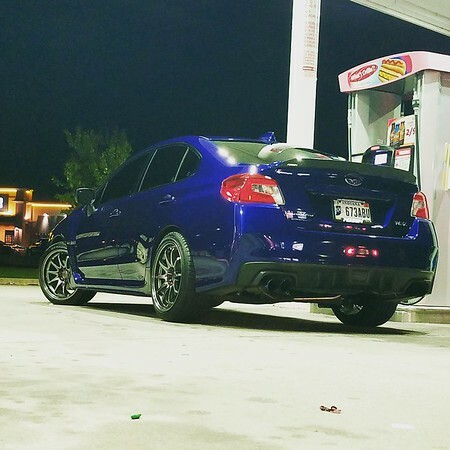 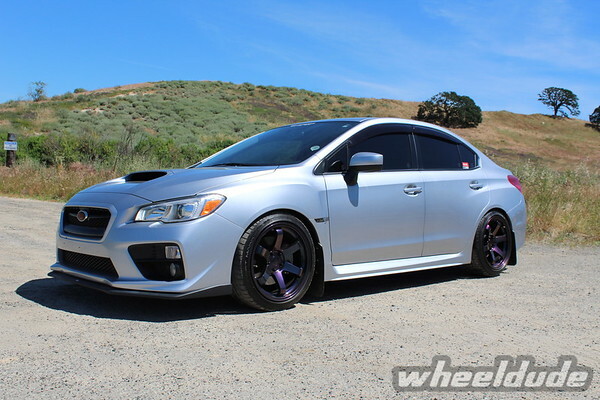 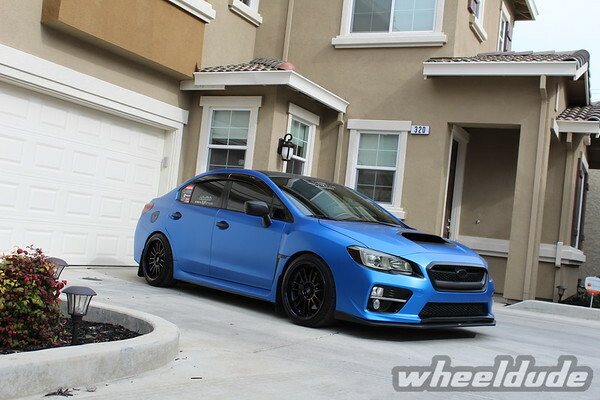 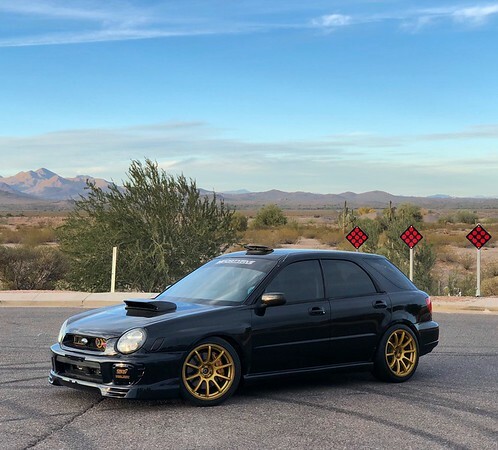 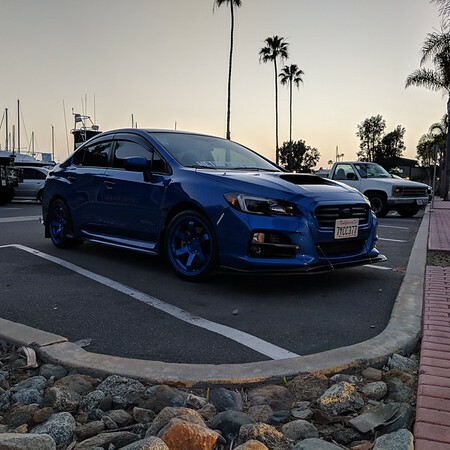 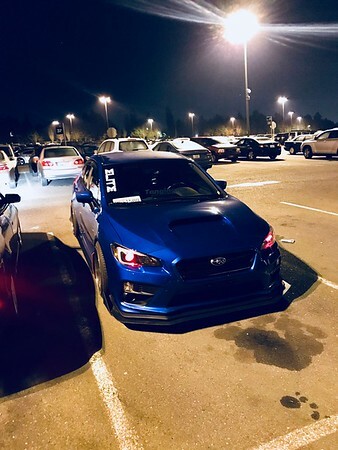 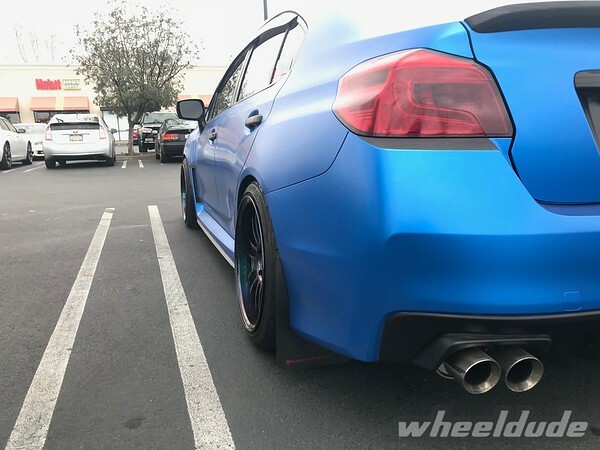 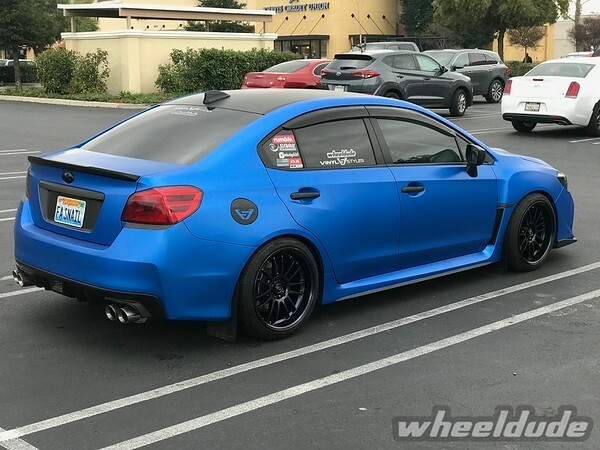 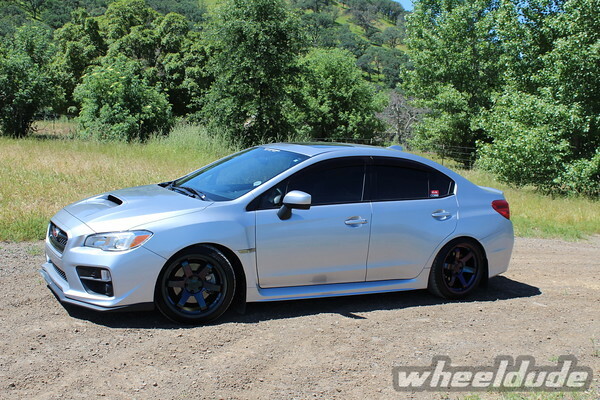 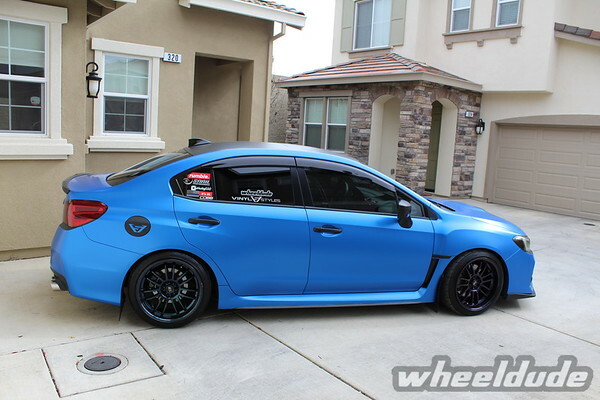 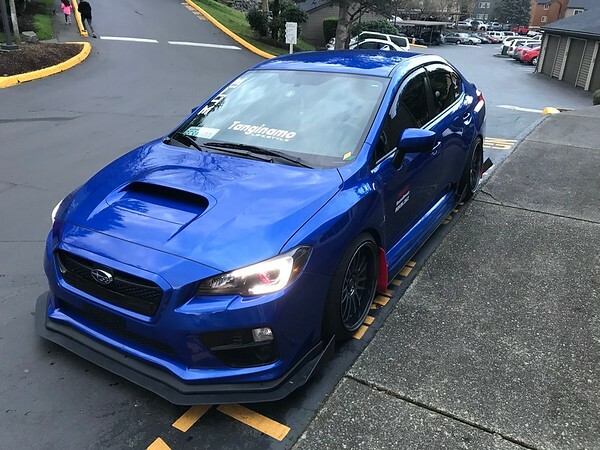 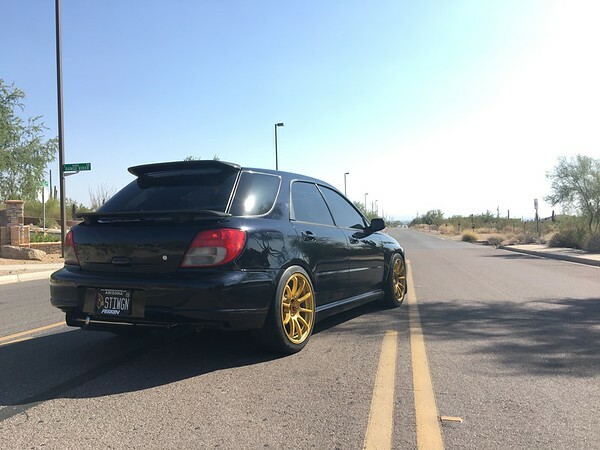 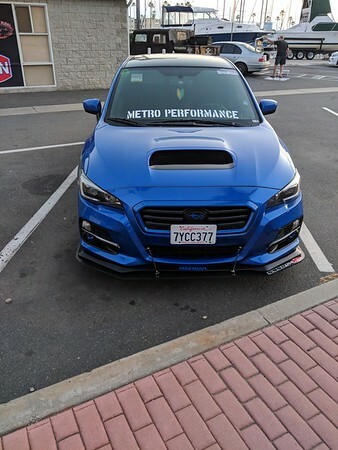 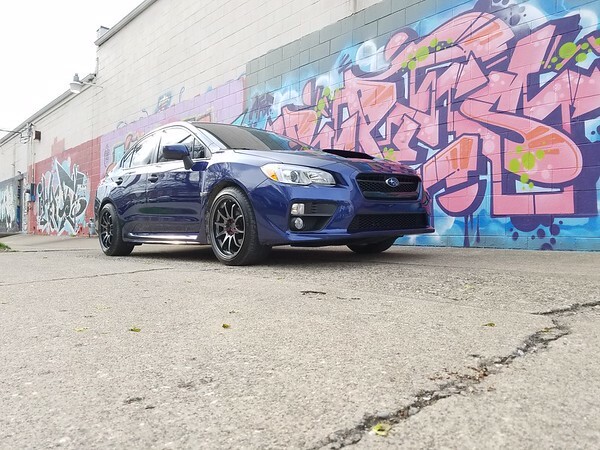 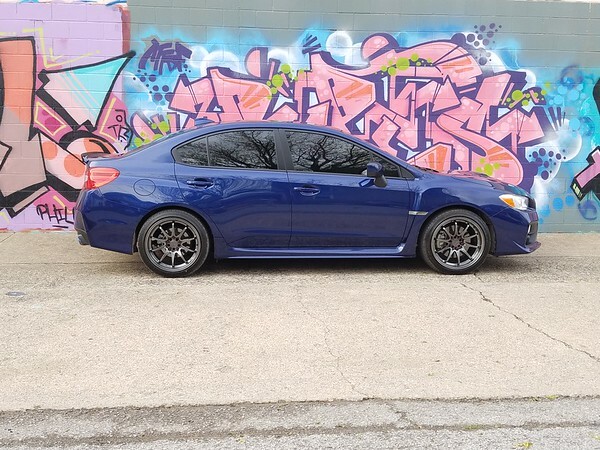 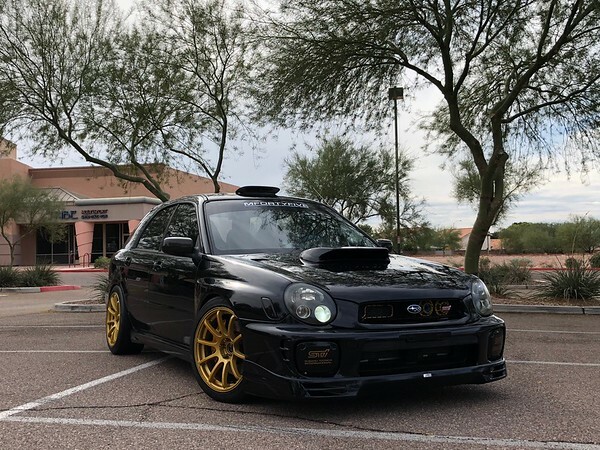 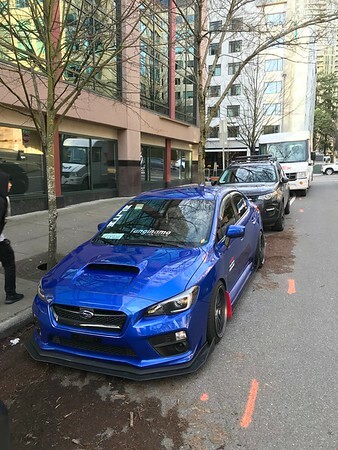 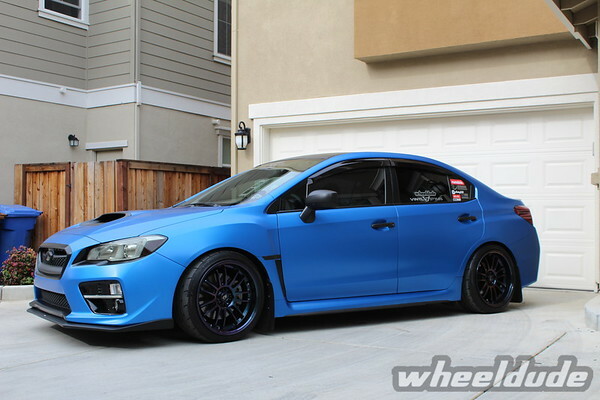 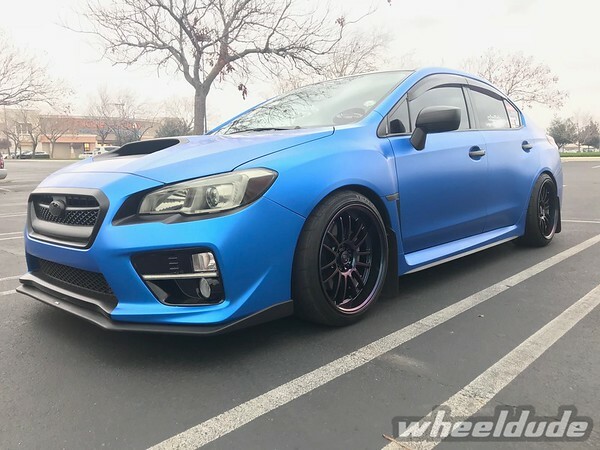 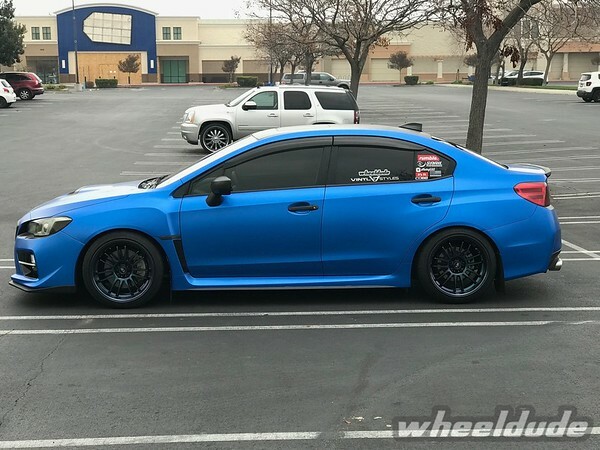 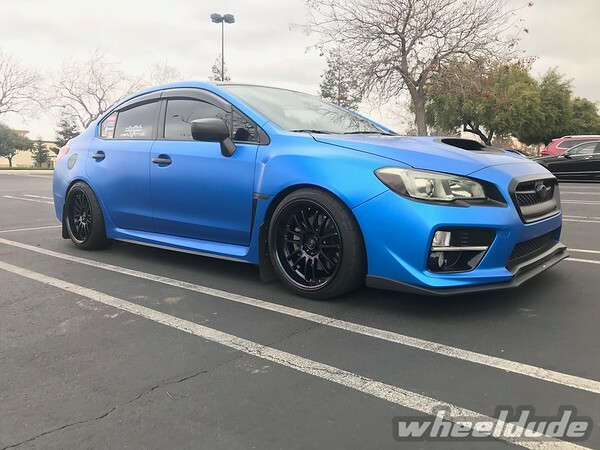 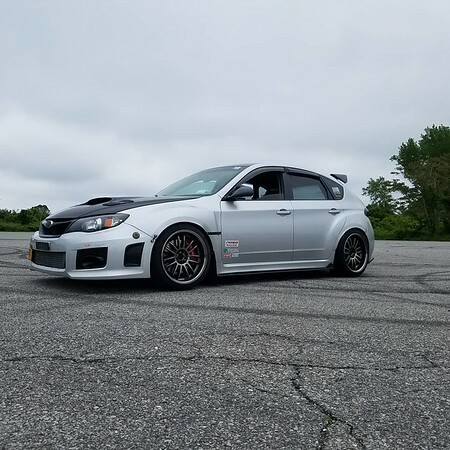 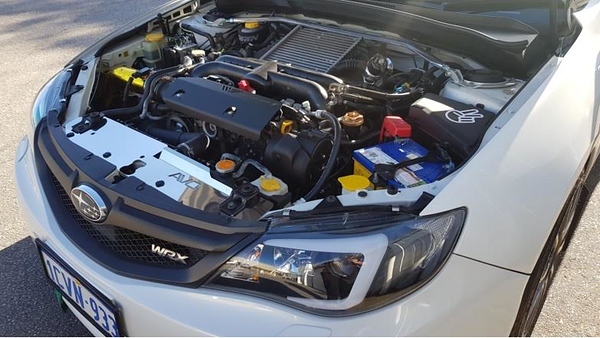 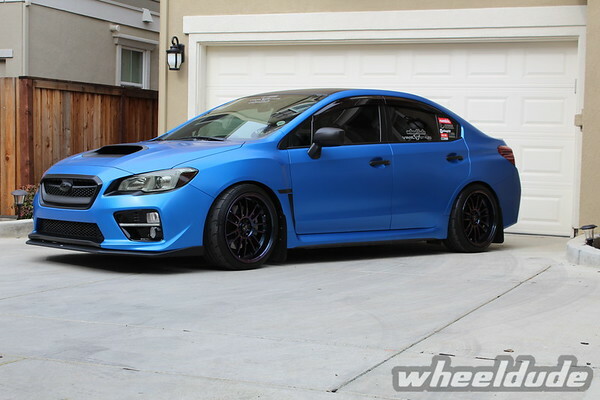 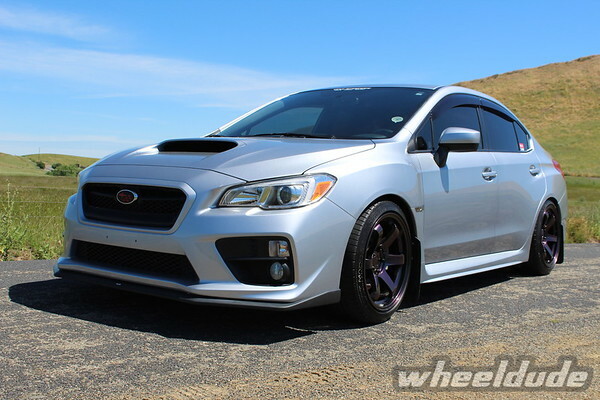 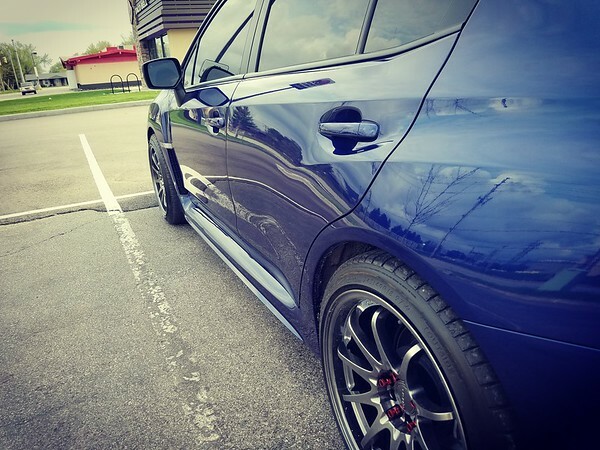 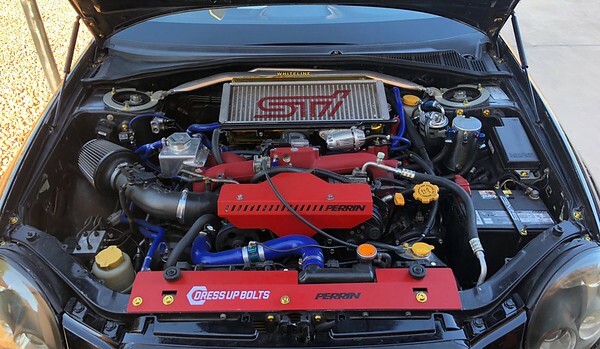 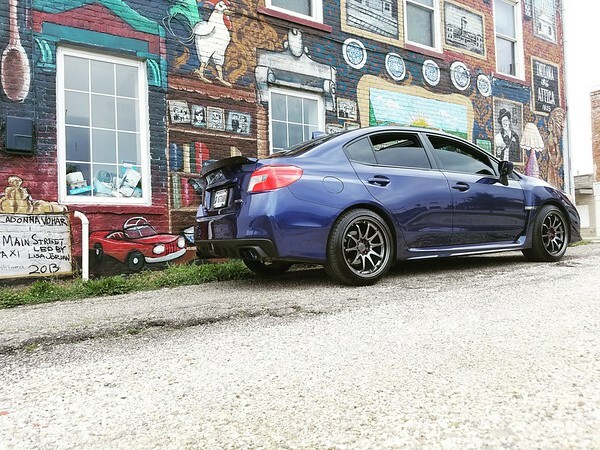 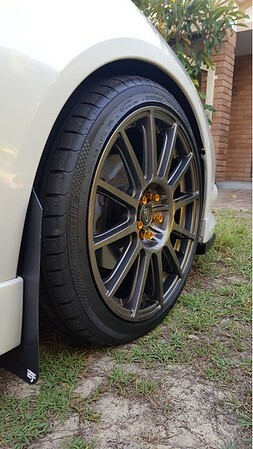 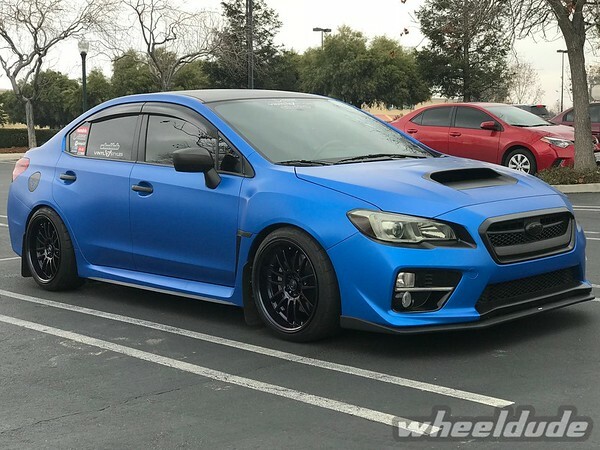 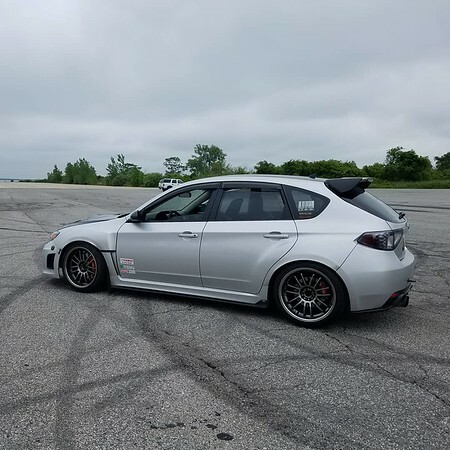 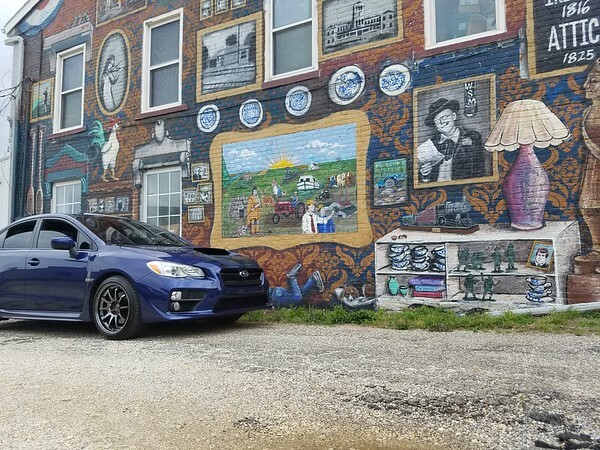 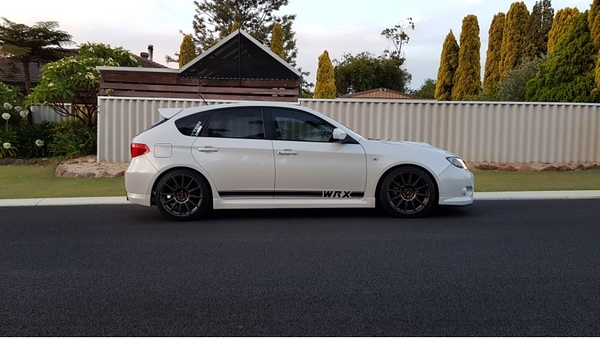 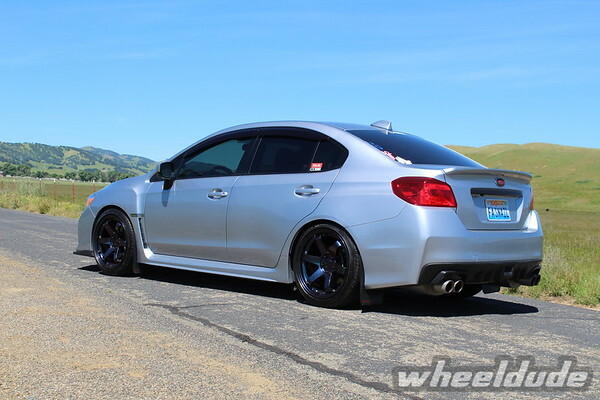 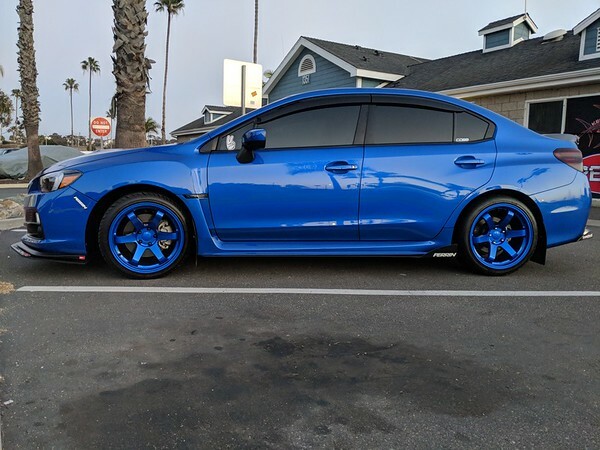 Mods:Fully built 2.0l with forged internals, bc272 cams, ARP headstuds and a JDM v7 STI Spec C long runner Intake Manifold, JDM v7 STI Spec C powersteering cooler; JDM v7 STI type RA 6 speed swap, Brembo Gran Turismo Brakes with cross drilled rotors all around; Full JDM v7 STI front end, JDM v7 STI Spec C roof vent, full JDM STI Wagon interior. 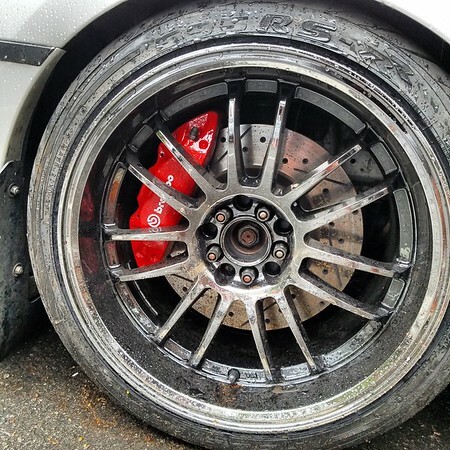 Spencer has a youtube channel, check him out put on his new kicks. 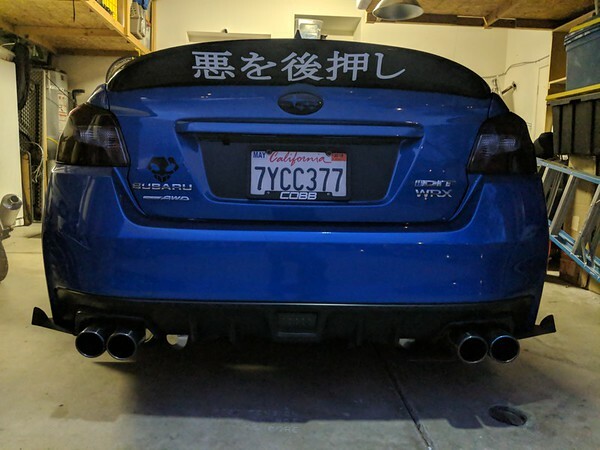 Hyper black def. 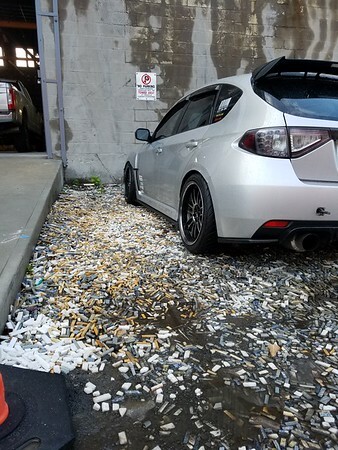 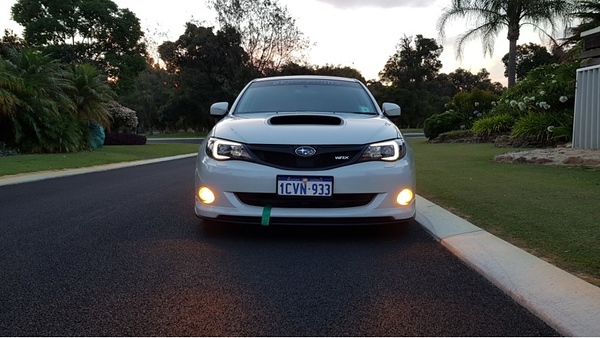 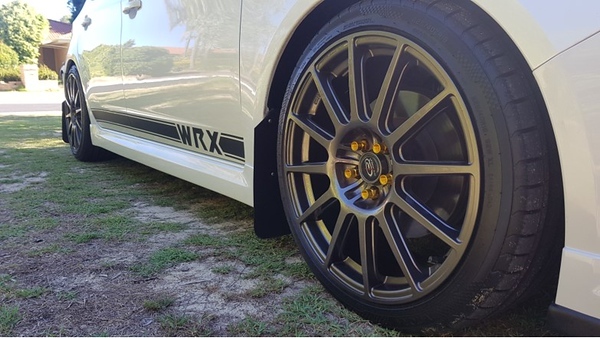 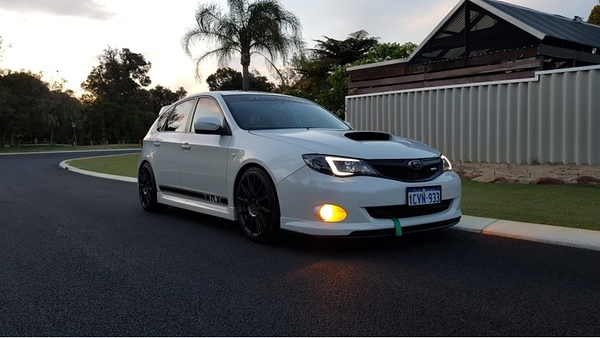 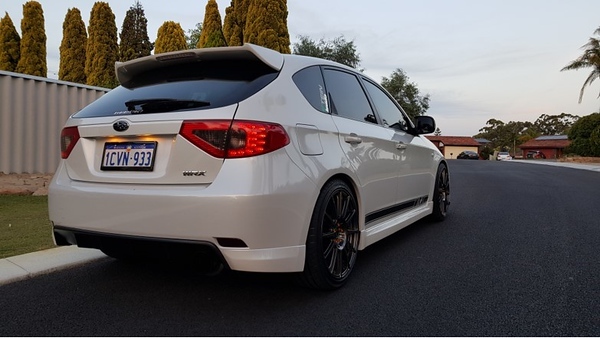 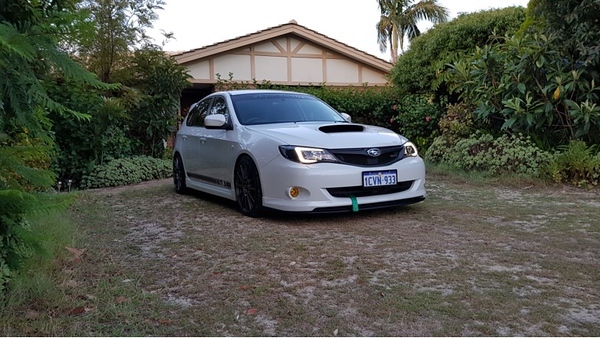 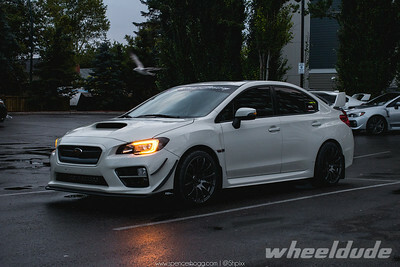 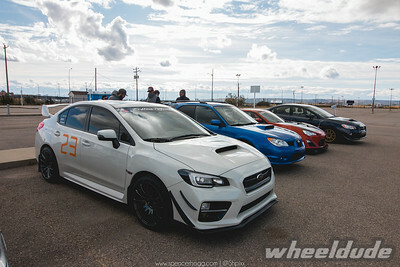 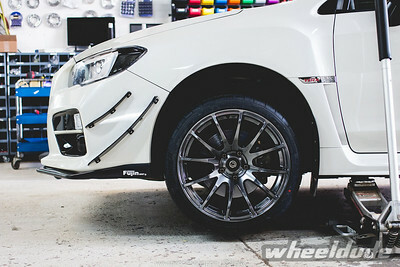 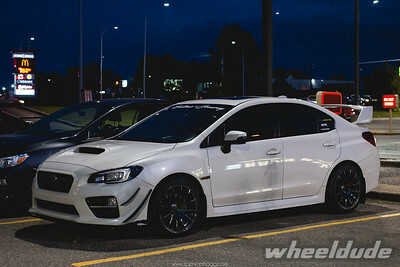 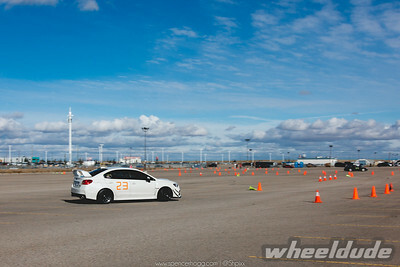 looks good on that white wrx!